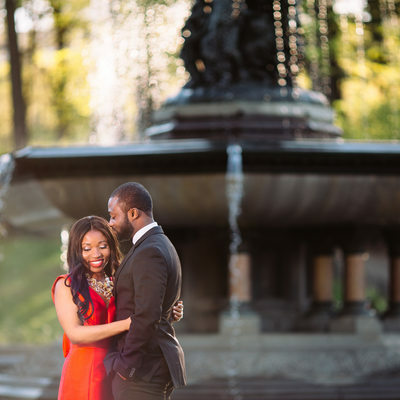 Engagement shoots are definitely one of our most favorite aspects of the entire wedding photography process. 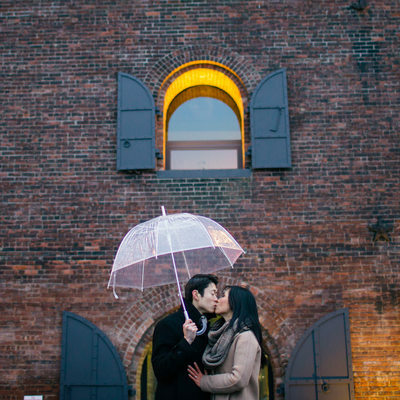 Not only are the sessions a ton of fun, they also provide a great way for us get close to our couples; which eventually helps us put them at ease regarding photography. 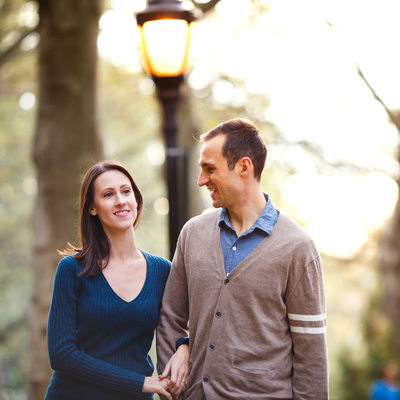 Most couples, when it comes to getting pictures taken, feel a little nervous and rigid at the beginning of the session. 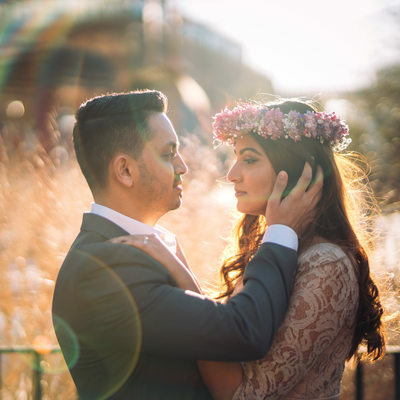 However, because engagement shoots provide a relaxed, stress-free and fun environment, couples feel a lot more relaxed and confident by the end of these sessions. 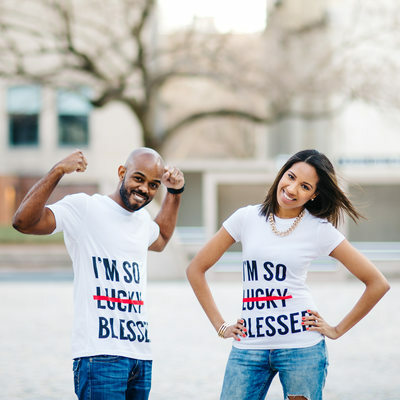 This is one of the most significant benefits of doing an engagement shoot, that helps us communicate better with our couples on the wedding day. 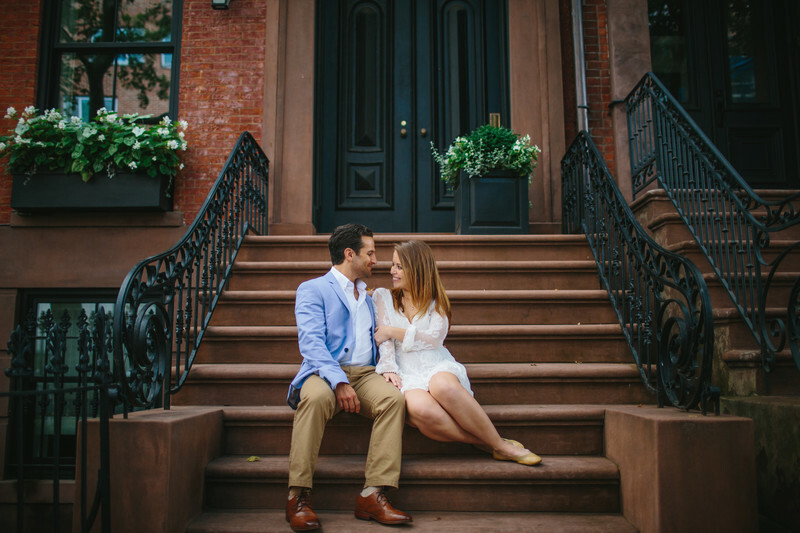 Over the years we have shot in many iconic locations within New York City as well as in New Jersey and Philly. 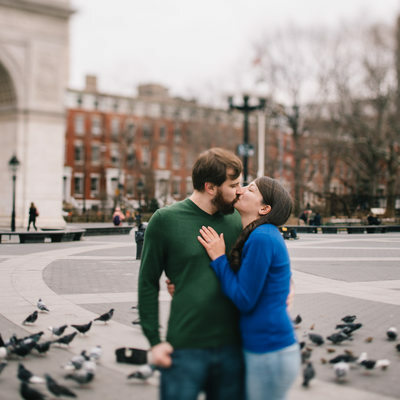 In this gallery, we have selected at an assortment of engagement photos that span across some the various popular NYC, New Jersey, and Philly locations. 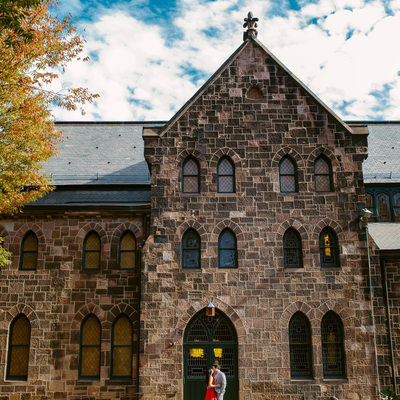 When it comes to selecting your own location, we strongly suggest that you pick a location that has some history/context for you. 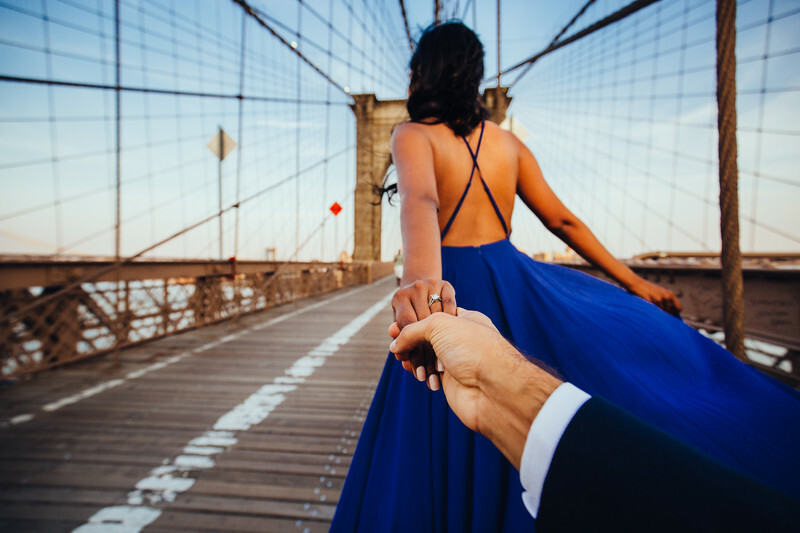 This way, the photos will have more meaning and significance for you. The range of photos shown in this gallery will hopefully give you some idea about the various looks we can get under different lighting conditions. 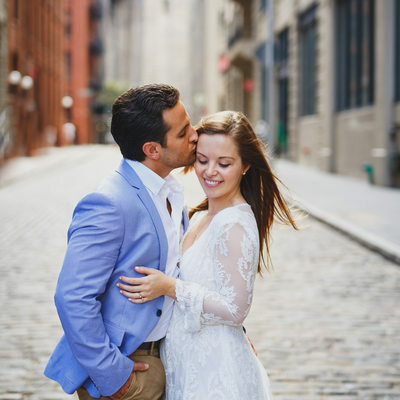 One of our favorite locations to shoot in New York City that truly shows the glorious skyline of the Big Apple is Dumbo in Brooklyn. 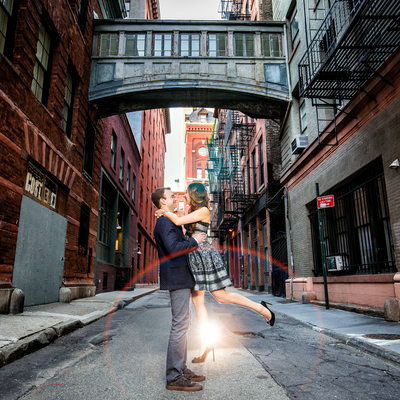 Shooting there right after dusk provides a beautiful backdrop of the lower Manhattan, illuminated with city lights. 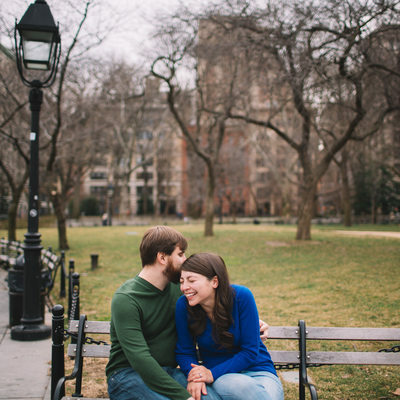 Similarly, shooting in Brooklyn Heights, or in Central Park in the early morning can be a great experience. Especially, if we can venture out in the early morning, we can often avoid (to a certain extent!) the tourist crowd that we would normally get later in the day in these very popular locations. 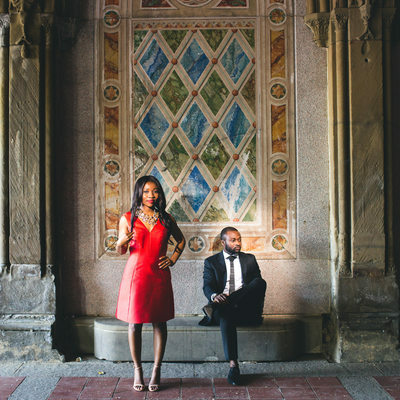 Some of our favorite engagement shoot locations include Fort Tryon Park in the Bronx, Battery Park overlooking the Jersey skyline, Washington Square Park and the Grand Central station with its grandiose architecture. 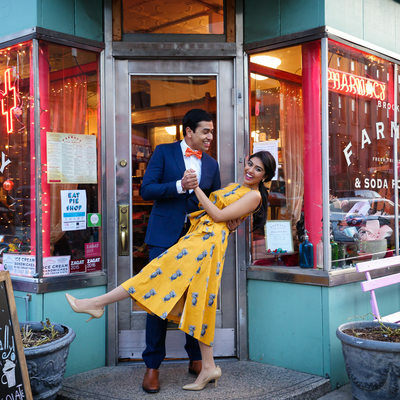 A different and equally meaningful and rewarding, route to take with your engagement pictures is to select a location that's truly personal and private, for example, the café where you spend your evenings, or the schools that you attended together! 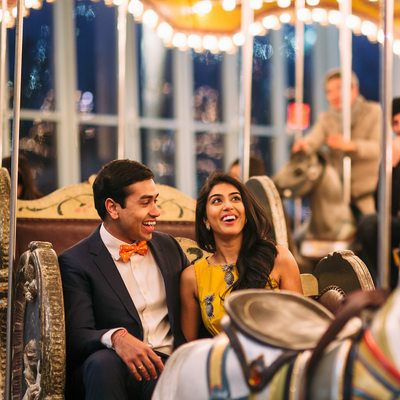 Wherever you eventually choose to have your engagement session, we can assure you one thing and that is the engagement shoot is one of the most fun, creative and stress-free photography experience you will come across during the entire wedding process. 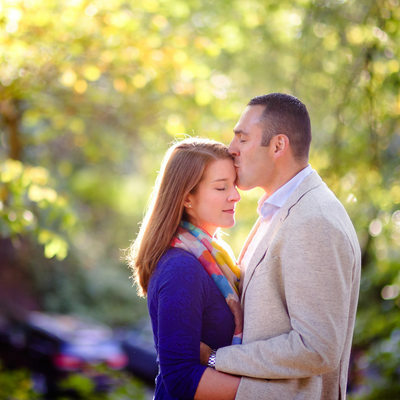 We highly recommend that you decide to go for an engagement shoot (partly because we love these sessions so much!). 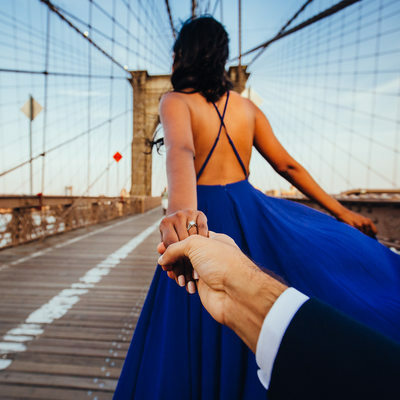 You can read up more about our planning tips and suggestions around engagement photography from this article.